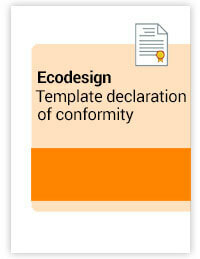 The template contains the content of the Declaration of Conformity (DoC) for Gas Appliances according to Directive 2009/142/EC. 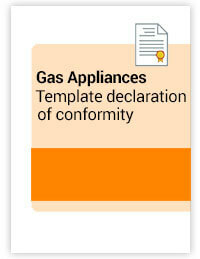 The template contains the content of the Declaration of Conformity (DoC) for Gas Appliances according to Directive 2009/142/EC. For appliances that also need to comply with other directives, these should all be indicated on the Declaration. For questions, please contact us at info@instrktiv.com. The template contains the content of the Declaration of Conformity (DoC) for Energy Related Products according to Directive 2009/125/EC. 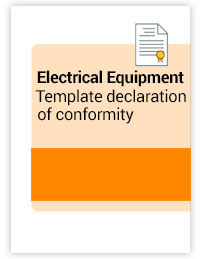 The template contains the content of the Declaration of Conformity (DoC) for Energy Related Products according to Directive 2009/125/EC. For products that also need to comply with other directives, these should all be indicated on the Declaration. For questions, please contact us at info@instrktiv.com. The template contains the content of the Declaration of Conformity (DoC) for Cableway Installations according to Directive 2000/9/EC. For installations that also need to comply with other directives, these should all be indicated on the Declaration. For questions, please contact us at info@instrktiv.com. The template contains the content of the Declaration of Conformity (DoC) for Partly Completed Machinery according to Directive 2006/42/EC.